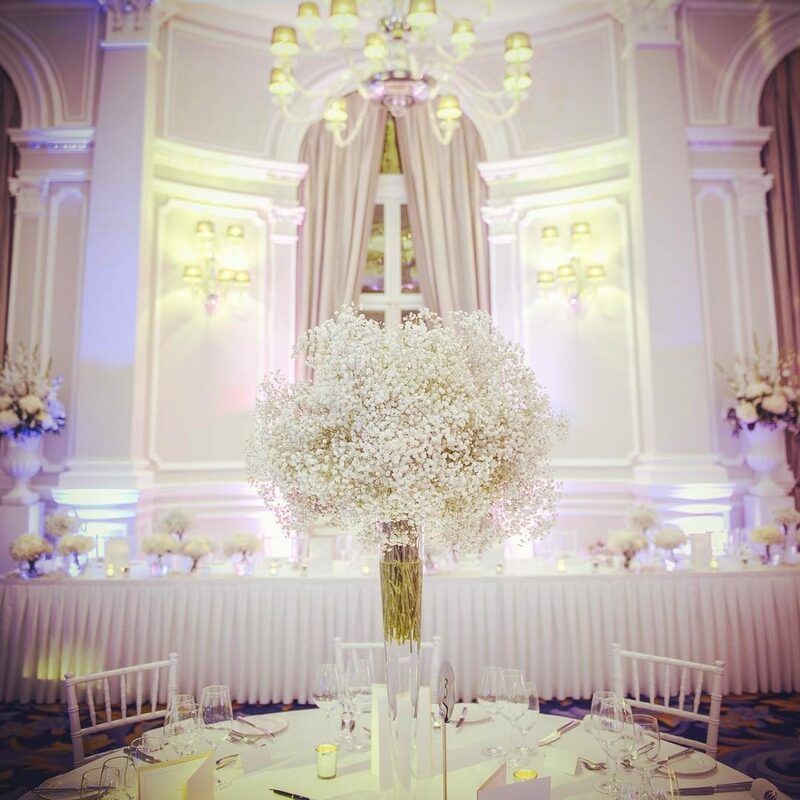 A wonderful winter wedding was created last week at the amazing corinthia hotel in london. domes of pretty gypsophila and hydrangeas filled the stunning ballroom. The guests walked into a room fit for a princess! We were certainly proud of this one.